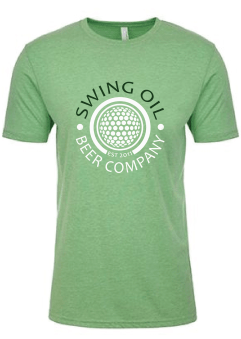 At Swing Oil Swag and Swing Oil Beer Company, we believe golf should be fun. Whether it's winning a $5 Nassau, or winning the Club Championship, at the end of the round we all head to the 19th Hole for a post round recovery beer and tell stories about how good your game could have been. The idea started many rounds ago between two friends, Tommy and Mike, who golf and brew beer together a lot. While sitting in their favorite 19th hole trading stories, they decided that the term Swing Oil should not only be the consumption of beer to improve performance on the golf course (i.e. 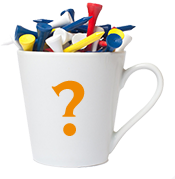 to cure common golfing errors - slicing, hooking, whiffing, etc), but also the name of an American craft beer brand, and fun, functional, stylish apparel that can be worn before, during, and after the round. While we can't take total credit for improving your golf game, we can help you look and play your best. 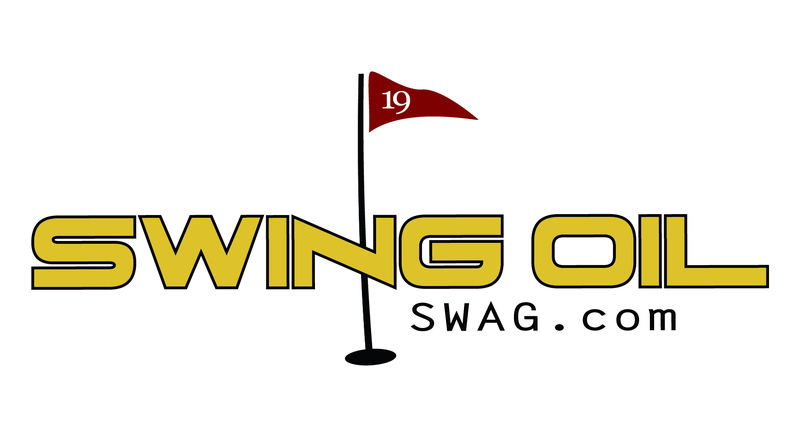 Thank you for visiting Swing Oil Swag! Swing and Relax with Swing Oil Swag! New Swing Oil products are constantly arriving, check back often. 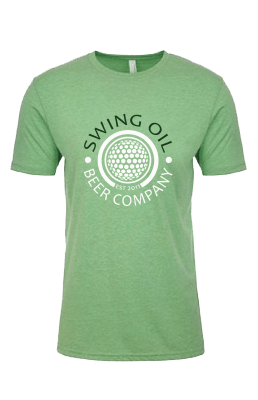 Newly arrived: Swing Oil Apple Green T-shirt. Also, promotional programs are coming soon. Stay connected by signing up for our monthly newsletter and receive 10% off your order! Join now and receive a 10% off coupon code! Click here and enter your email to receive our newsletters!